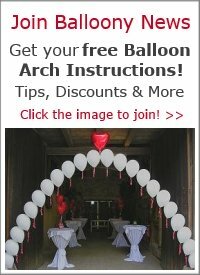 How can I attach a masquerade mask to a balloon column? 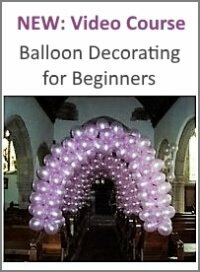 I have made a balloon column and I want to top it with a masquerade mask which I have made out of 2 curved and 2 crescent foil balloons (air filled). Can you suggest a way of securing the mask to the column? I've tried sticking the mask to a balloon stick and stuck it in the pole with blu tac but it seems a bit precarious. How did you secure the 4 foil balloons to each other to form the mask? Typically, the best way to secure a large topper balloon to a column is by using an uninflated 260Q balloon. 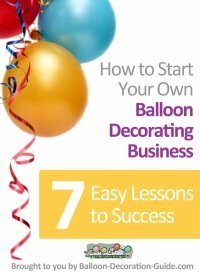 I've described the technique (including a video) on this page. I am not sure though if this will work for you. 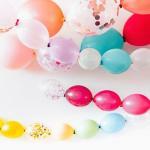 It depends on how stable the masquerade balloon unit is. 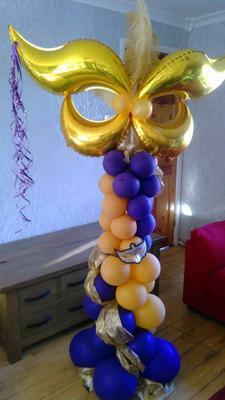 Comments for How can I attach a masquerade mask to a balloon column? I would suggest to use a 42 inch curved balloon and a 26 inch crescent balloon for the mask. Alternatively, if you want to have a smaller mask, you could try the 28 inch curved and the 17 inch crescent balloon. What size crescent and curves should be used for a 6 foot tall column?